I almost alway serve fruit tarts at these parties. They are easy to make, look great, and I'm partial to this sort of dessert myself after a heavy meal. I tried out a new method of blind baking the crusts, which is to let the dough hang over the edges, bake without any extra pie weights, cool, and then trim the top with a knife. It works well, provided the dough isn't too soft, the tart pans not too high at the rim, and that you leave plenty of dough hanging over the edges. The cooked scraps also make a nice snack. This was sort of a silly experiment to do on the day of the party, because had the crusts come out badly I would have needed to run up another batch of dough. 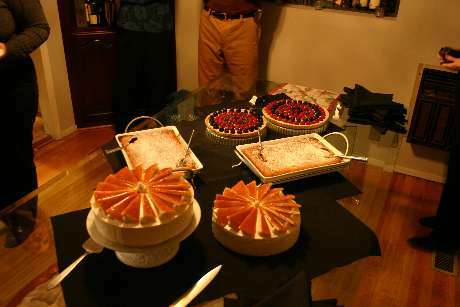 But the dessert work was done early in the day, and crusts are pretty much second nature at this point. 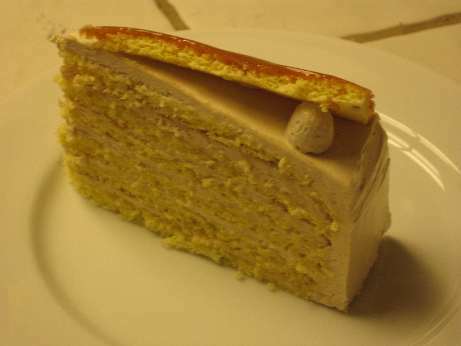 While pastry cream is common as a filling for fruit tarts, I often find it to be too heavy. I cut it 50/50 with whipped cream to provide a lighter texture and less of a pasty mouth feel. Technically this is known as "diplomat cream". 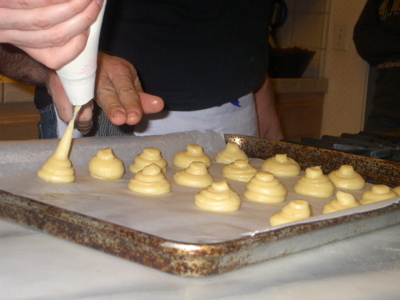 Before applying the cream, a thin layer of apricot glaze is put down to help seal the bottom. This keeps the pastry cream mixture from causing the crust to become mushy. 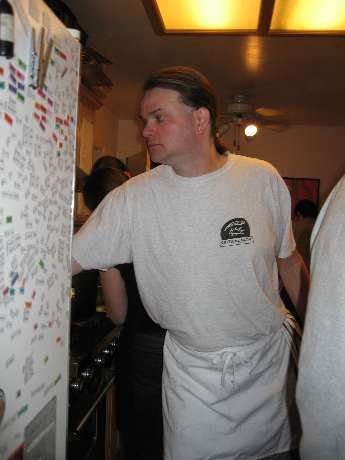 The original idea for lamb, vegetables, and mustard spaetzle came from Charlie Trotter. I've made this so many times at this point that I think of it as one of "my dishes" however. William, like every year before, took for himself the task of cleaning the lamb. He is an expert at it, and has (justifiably) great pride in how clean the bones come out. The trim from the lamb with more meat than fat is browned, and then reduced with red wine (we used an entire bottle of Pinot this year) and oxtail stock. If you have oxtail glace (which I do), add that to the stock as well to make it nice and thick. 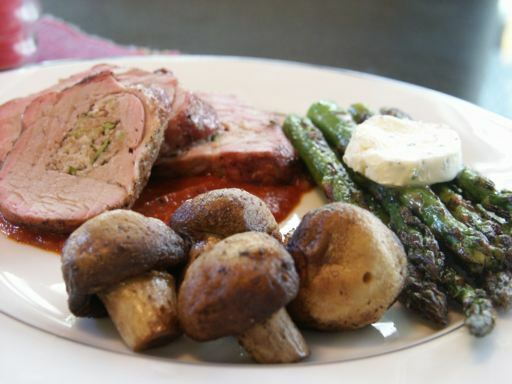 You can clean the lamb and make the sauce the day before (like we did). For the vegetables, cut up whatever winter vegetables into whatever shapes you like. I think this year it was: turnips, rutabega, parsnips, celery root, and carrots. Blanch each vegetable separately in salted water until just shy of done. Shock in ice water and hold for service. If you do them from white to yellow to orange, you can use the same water. The mustard spaetzle is any spaetzle recipe you like with the addition of whole grain mustard. Boil the spatzle (this year we formed them by piping out of a bag with cutting with a knife, but in the past we've done it with a pie tin with holes poked in it) and then cool on an oiled sheet pan. Again, hold for service. 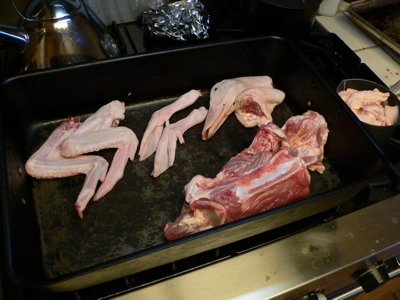 To cook the lamb, salt and pepper each rack. Cook on the stovetop a few minutes on each side for color. Roast in a 375 oven for 15-20 minutes or until desired level of doneness is reached. 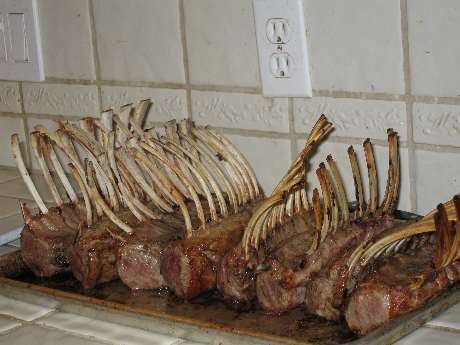 Allow racks to rest for at least ten minutes, and then slice into individual chops for service. We used a large roasting pan because there were 8 racks of lamb. For more normal sized dinners I usually just move the sautee pan directly into the oven and cook them there. While the lamb is resting, re-heat and taste the sauce. 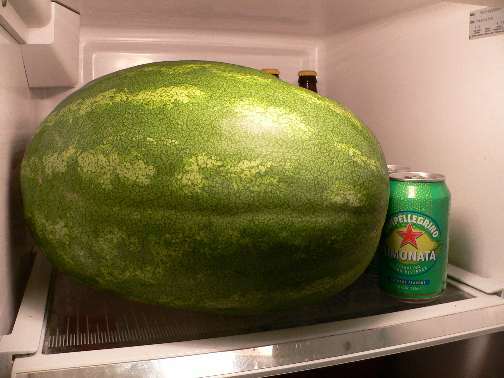 It should be quite strong and heavy. If not, reduce more. The vegetables get a final cooking in butter, salt, and pepper. 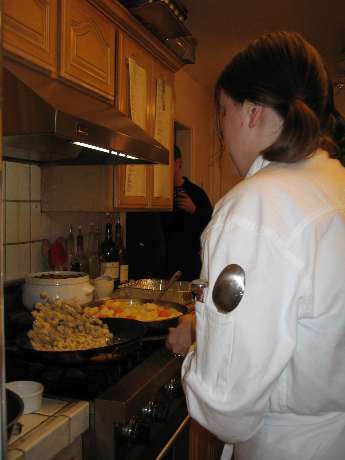 In another pan, the spaetzle are reheated in still more butter (please keep in mind who's blog you are reading here). Check out the airtime meriko is getting on that spaetzle! And all that without a special pan. This dish is, I think, a pure creation of mine. It follows a common pattern of mine, things shaped the same way. I used this concept in "Vegetables Pointy and Round". Clean the artichokes and pare down to the hearts. Keep in lemon/water to prevent browning. Simmer in salted water until just tender. Shock in ice bath to cool, then cut into "wedges" about the size and shape of a quartered mushroom. You can also use frozen artichoke hearts for this, but the shape isn't quite the same. Still tastes good, though, and avoids an hour of painful knifework. Quarter mushrooms. 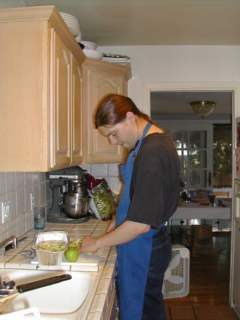 The clever chef leaves this task for himself and assigns the artichoke duty to others. Hi, Tim and Derrick! 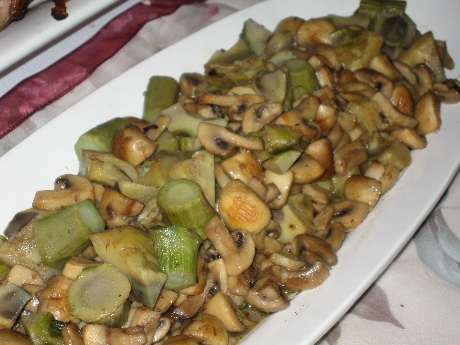 For service, sautee the mushrooms in clairified butter until brown, add artichoke parts and re-heat. Add salt, pepper, sage. Add white wine, reduce a bit, then add stock, and reduce again. You want a light glaze/coating of sauce rather than pools of it. I got the idea for this dish from a vegetarian Indian restaurant that we go to at lunch. One day the side dish was a creamy curry cauliflower. It had great flavor and the offsetting flavors of the cream and hot curry really worked well together. I knew, however, that I didn't want a loose cream, but instead something that could more easily be dished and eaten. 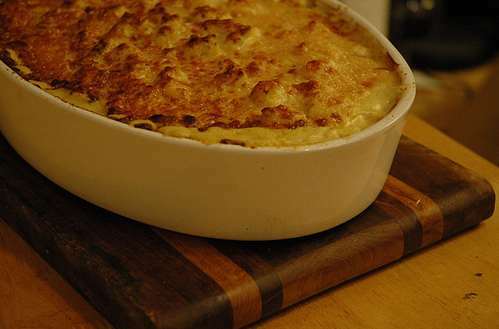 A gratin is a pretty obvious answer here. 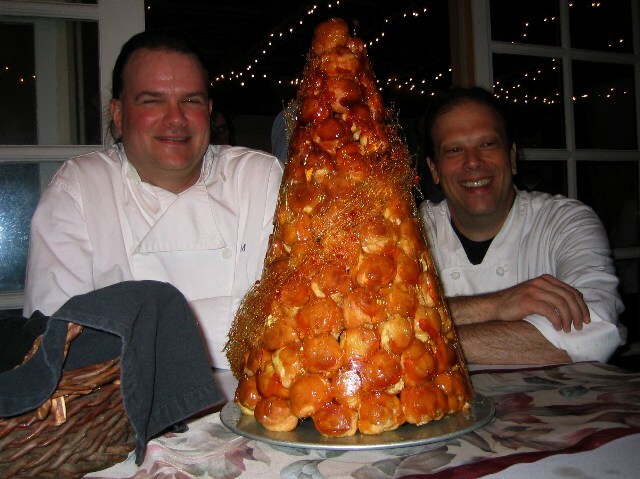 A quick google turned up a Thomas Keller (good grief! not again!) 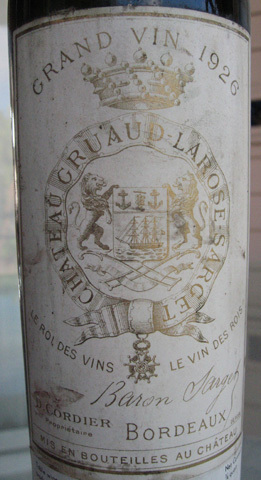 recipe from Bouchon. I made some simplifications and modifications to it in order to incorporate more curry flavor and remove what I felt were some unneeded steps. The basic idea is the same, however, which is using the stem portions of the cauliflower as part of the thickener for the cream sauce. 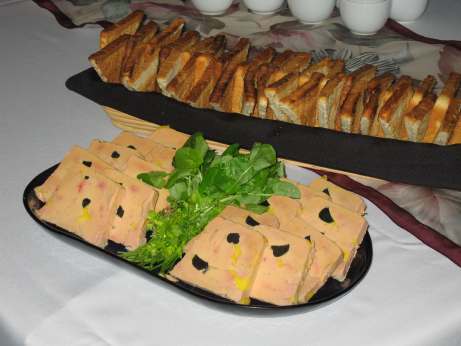 Another great dish for a party. 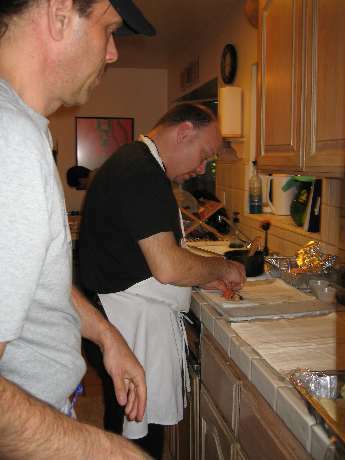 The entire making was done the day ahead, and on the day of the party it needed only 20 minutes of oven time. 5) blanch florettes in large pot of boiling water (add salt and vinegar to water to prevent discoloring) until just tender (about two minutes). 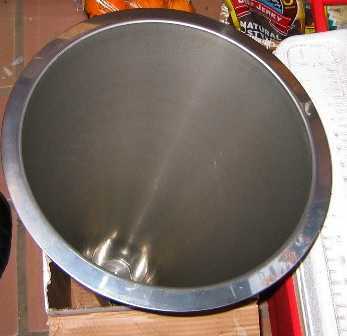 Drain and place into final cooking pan. 6) Pour blended mixture over florettes. 8) Bake in 450 oven for 15 minutes (or until clearly bubbling and hot). Brush filo sheet with butter, place 2nd sheet on top, brush half with butter, fold over (final will be 4 sheets of filo with butter between each). 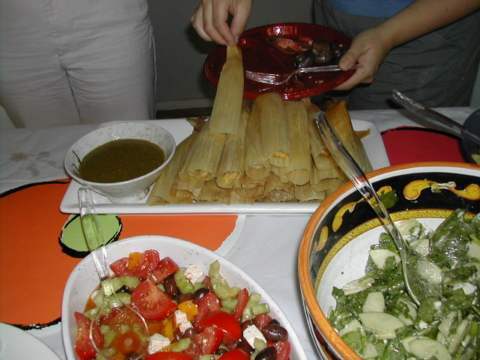 Place remaining ingredients together in a single line at buttom of filo sheet. Fold 1 inch filo up and over filling. Brush filo again with butter. Fold both edges in, then roll filo (as when making a burrito). Place into tray, brush with butter and hold. To bake: 400 degree oven for approximately 15 minutes, or until golden brown. Slice on bias and serve with Sauce Americaine. Reduce stock until quite strong. Add cream, reduce to desired consistancy, or slightly more runny. 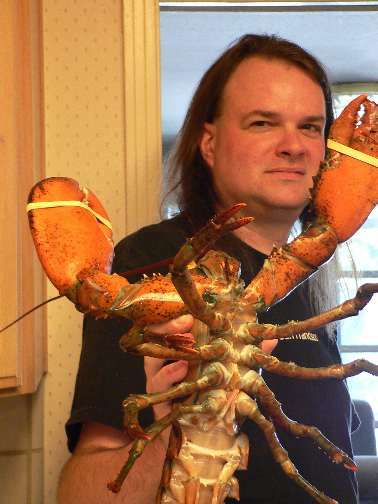 Whisk in lobster butter and regular butter over low or no heat as when making a beurre blanc. Do not return to additional heat or sauce will break. 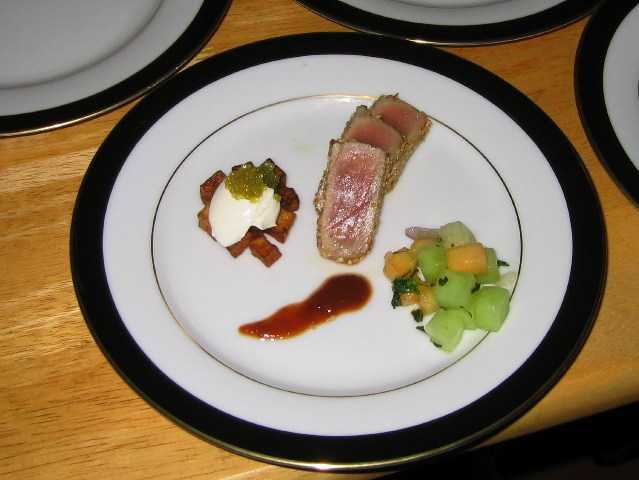 This is a dish inspired by my time at the CIA. 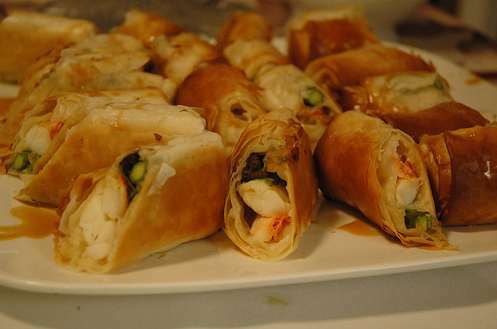 When I was there, we made quite a few dishes that involved filo dough, rolled, or folded into squares or triangles. I was inspired by late spring or early summer ingredients for these "summer rolls" as I usually call them. Two people (in this case Tim and William) made rapid work of this repetative task (we made 24 of these). These rolls are an excellent make-ahead dish because while they take time during prep, they are then all ready to go during service. 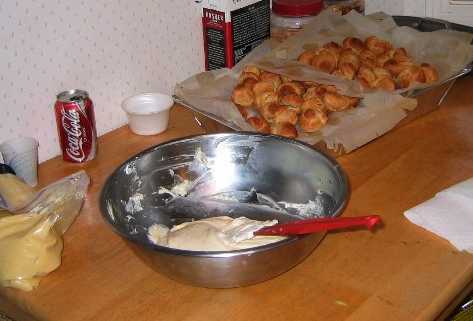 Notice as well their workstation, with all ingredients in place, and a final pan ready to receive the completed rolls. Every year there is at least once insane thing we decide to do. 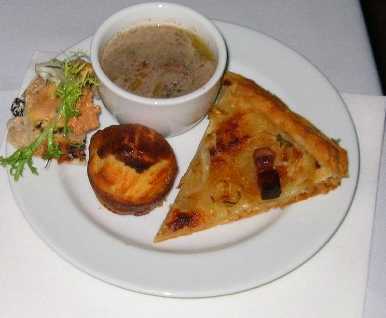 This year it was individual plated souffles. Of course, just doing one wouldn't be crazy enough, so we did two different models: 1) Mussel Souffle with Saffron Chardonnay Sauce, and 2) Stout and Cheese Souffle with Frisee Salad. 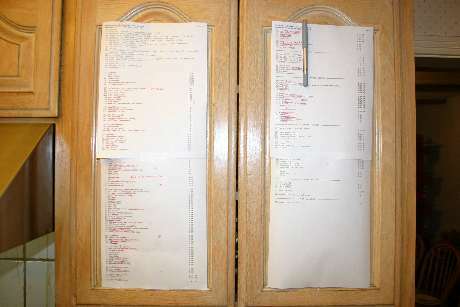 This is a pretty good shot of how we organize all of the dishes. 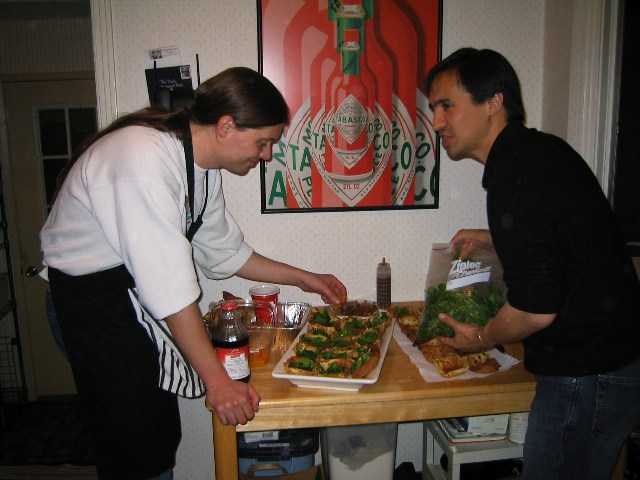 Each dish has prep that goes into it, and everything that needs to be measured out is placed into its own container. When needed, the parts are labelled as well. When it comes time to cook, everything is there. By the end of prep, the pantry is completely full of half and full sized disposable hotel pans holding all of the parts for every single dish. Once the party starts, there really is no more chopping or cutting that needs to happen, except when finished meats need slicing. 1) melt butter, add flour to form roux. Add liquid, bring to boil and thicken (will be quite thick). 3) Whisk in egg yolks, making sure not to cook them. 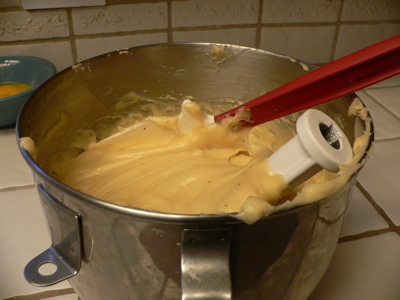 4) Whisk/blend in the solids. 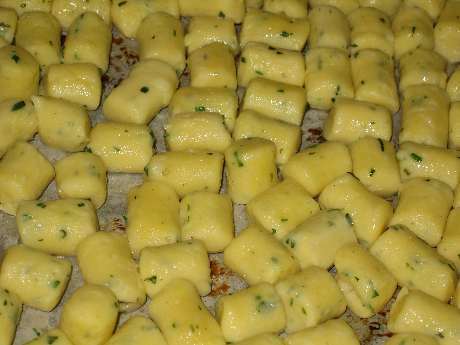 10) Spoon into molds, bake for 20-30 minutes or until the centers are well set. For the mussel souffle, we used the cooking broth from the mussels for the liquid, and well chopped mussel meat for the solids. The sauce was reduced saffron, lemon juice, and Chardonnay. Some heavy cream was added and then additionally reduced. The sauce was drizzled over the top of the souffles via a squirt bottle. 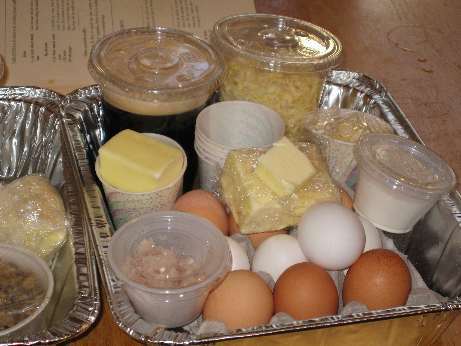 For the stout souffle, we used Guiness as the liquid, and sharp cheddar cheese as the solids. We also added some shallots to the base for additional flavoring. 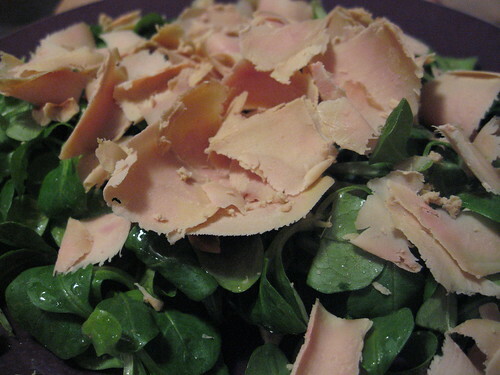 Frisee was dressed simply with a mustard vinaigrette, and a small amount placed on each plate. We used disposable foil ramikens this year. 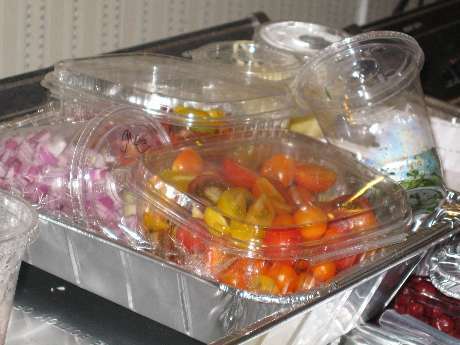 They are cheap, easy to throw away when done, and have nice vertical sides. The downside is that they don't look as nice, and do not hold heat, so the souffles will deflate quite rapidly. We cooked the souffles in two batches, with half of each kind in each batch, starting them about 10 minutes apart. In this way, we could bring out the courses quickly, and then make another pass through with more souffles for people who missed out, or maybe even wanted a 2nd one of the other kind. 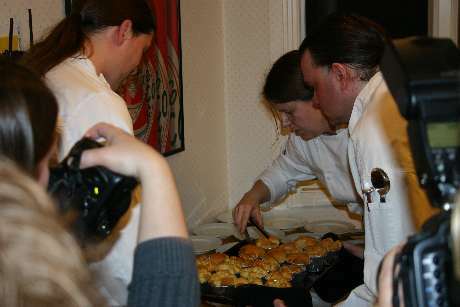 Also, you may notice that while plating we had three cameras taking pictures, and two of them were pretty high powered! 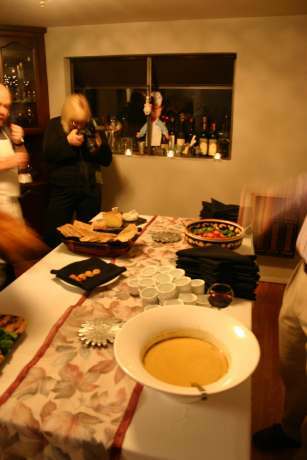 I'm a huge fan of soups, especially at parties. Soups can be mostly (or even sometimes completely) made ahead of time. People like soup, especially in the winter. Soup isn't served as often as it probably should be. 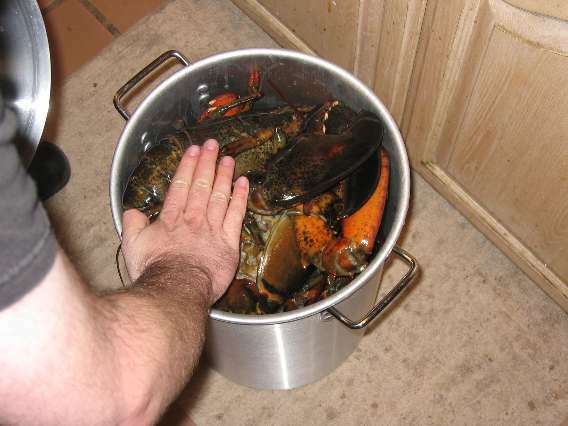 And finally, it's a nice help-yourself, slow-arrival kind of dish as people gather. Cut squash in half. Place on pan in 350 degree oven and roast until tender (about an hour and a half). Clean and slice leeks, cut carrots and celery into medium dice. Sweat in olive oil. Add wine, thyme, and water to cover. 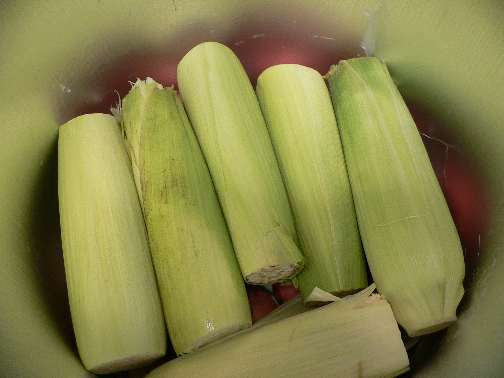 Add in corn cobs. Simmer while squash finishes cooking. Remove squash from oven and using a spoon, scoop out flesh. Throw away seeds, and skin. Add squash flesh to pot. Add additional water as needed to cover. Cook until all vegetables are soft. Remove corn cobs. Blend mixture a bit at a time until completely smooth, then pass through a coarse mesh strainer to remove any strings or large bits of pulp. At this stage, the soup freezes very well, or can be placed in the fridge for up to three days. For service, thaw or re-heat the soup. Reduce liquid as needed to desired consistency. Add salt, pepper, and a splash of some kind of acid (we used wine vinegar, I'm pretty sure, but lemon also works). Notice that there was no seasoning when cooking above, so you really need to salt it properly. 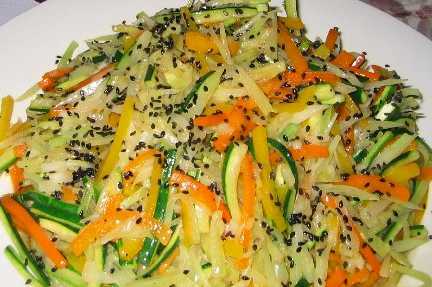 The acid is helpful to brighten the flavor -- long cooked vegetables often need this. 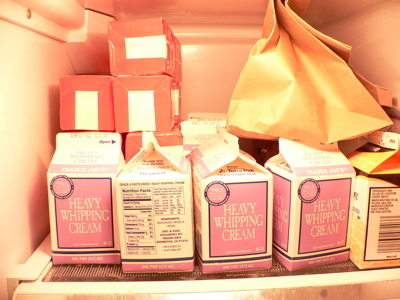 Add a pint of heavy cream (I use Manufacturing Cream which has no stabilizers and a higher butterfat content, but any kind of cream works), re-heat until fully warm and re-taste for seasoning. We also floated some roasted pumpkin seed oil on top, which has both a nice flavor and a pretty dark greenish tinge. Another funny trick we use for the party: the frozen blocks of soup can be put into a cooler and used to store vegetables that won't fit into your fridge. Chances are the soup will still be frozen rock solid even after a day, and you have freed up valuable space for more imortant things. Once again, there was a Poubelle Winter Feed. It was wonderful, fun, exciting, tiring, nerve wracking, and still more. Many thanks to all participants and chefs. More details to come, along with pictures. For my first entry in Is My Blog Burning? I was thrilled to lean that the theme would be "beans." This is a revelation that would surprise my mother -- as a child I loathed beans in all forms, and now I love them in just about all forms. Check out the other IMBB11 entries here. Here in Northern California, the weather has been cold and rainy, so it was obvious to me that a Cassoulet was in order. The idea of the oven and stove being on for the better part of two days was just too tempting to resist. Cassoulet can be made in under a day, if you start fairly early in the morning, and won't be eating until late. 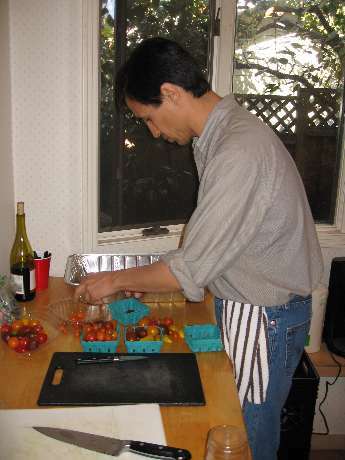 But it's more usual to prepare the day before, and assemble and cook on the second day. A Cassoulet is a French bean and meat casserole that involves a whole range of parts. 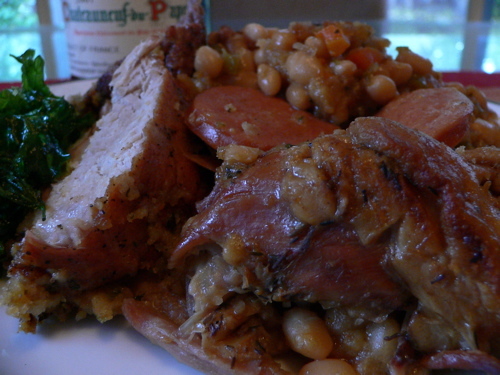 Like any traditional dish, there are heated arguments about what does or does not go into a "proper" Cassoulet. I decided to make the most common one that I usually make, and include more or less the traditional ingredients. 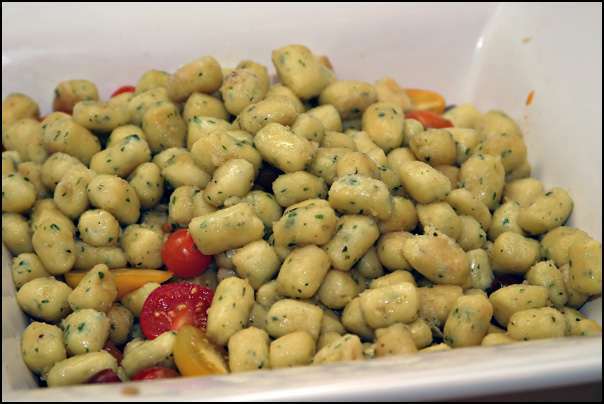 - Drain beans, place in pot with fresh water, simmer until tender, 45-60 mins, reserve cooking liquid. 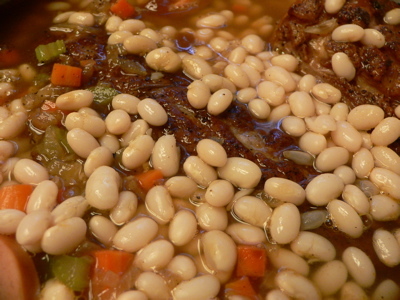 - Layer beans, mirpoix, meats into large casserole. Salt and pepper as you go. Lamb and pork are pretty common. 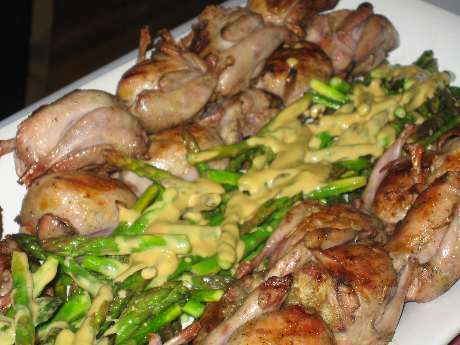 Confit of duck or goose also. Some say to never include confit, others require it. 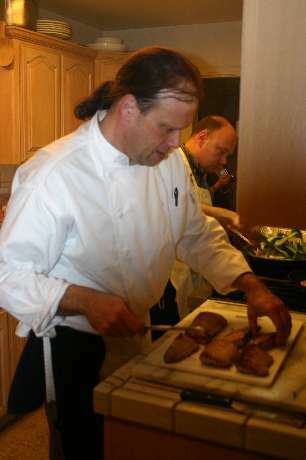 Some add foie gras to the cassoulet. I used what looked good in the shops. - one 4 inch wide "country pork rib" (this is a cut of pork that's really more like the pork belly with some ribs attached). Some people use thick cut bacon, or pork loin and bacon. The first task upon arriving home from the store was to make a demi/stock from some of the meats. Not everyone uses a stock or demi in making a cassoulet, but I personally love the rich flavor that it imparts. I used the carcass, head, feet, and wings trimmed from the duck, along with the ribs from the rack of lamb, and the ribs trimmed from the pork rib. This made a three meat stock. Trim from the mirpoix was the vegetables, and two teaspoonfuls of tomato paste was cooked down at the end. I cooked the stock for three hours, strained it, and re-cooked it with some brown roux to form the demi. 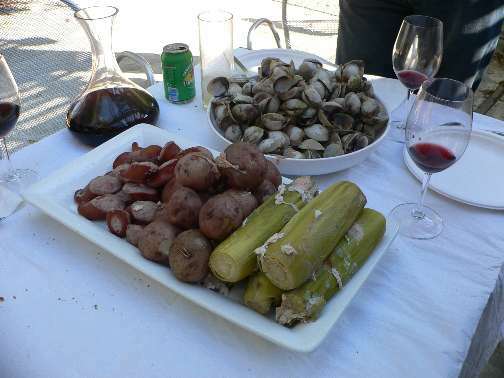 - fat and skin, to be rendered down for fat and used to make the confit and also sautee various items in the cassoulet. The cracklings from the rendering make either a nice snack, or can be used on top of a salad much like one would use bacon. 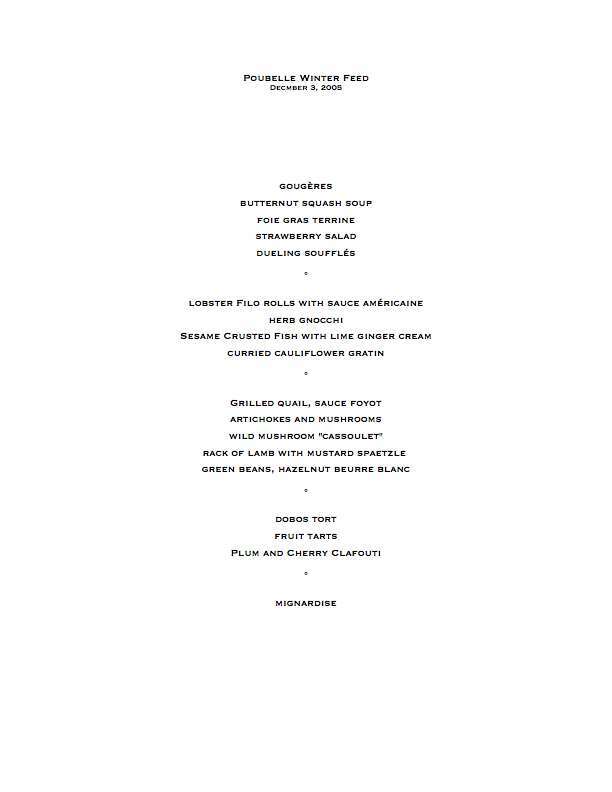 Okay, is the duck head and the little pot of skin and fat on the right already too much information and meat for you? You might want to check out my vegetarian cassoulet recipe then. Still with me? Good. Let's move on to the next day, so we can see all of the parts together. 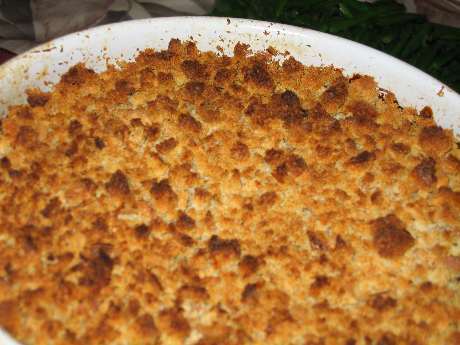 - bread crumbs with parsley, salt, and pepper. 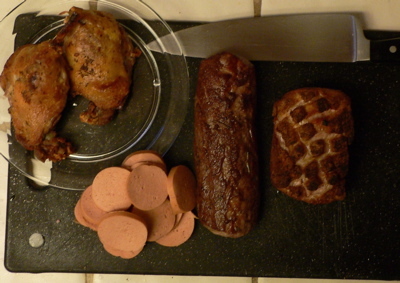 Here's how I prepared each of the meats -- left to right, 8 inch chef's knife for reference. The duck confit is made by coating the legs/thighs from the duck with salt, pepper, bay leaf (1), and allspice (6 whole, crushed). The duck is allowed to sit for a few hours (overnight would have been better). 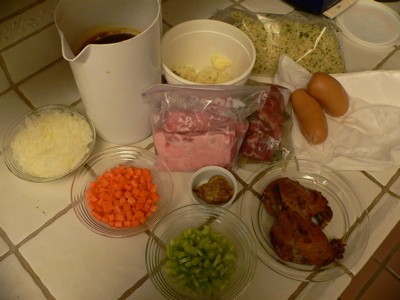 It is then wiped off and placed in a small pot of duck fat, and slowly simmered until tender. The duck is then cooled, and stored overnight (or until needed) in the fridge, covered in the duck fat. To use, the duck is removed from the fat (and excess is again wiped off) and placed under the boiler, skin side up, until crispy. 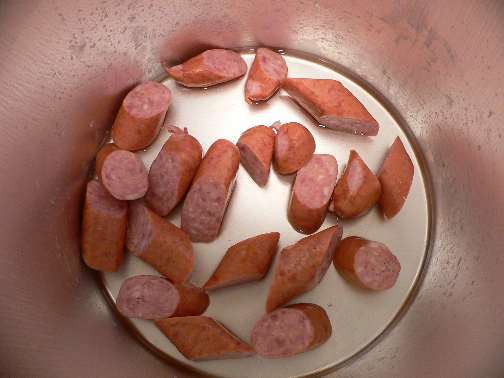 The garlic sausage was bought at a store and sliced into rounds. Whew! After the duck, this seems like a smart move, huh? The lamb loin was trimmed from the bones, all fat and silver skin were removed. The lamb sat overnight in a mixture of olive oil, salt, pepper, and rosemary. A quick sear on all sides. 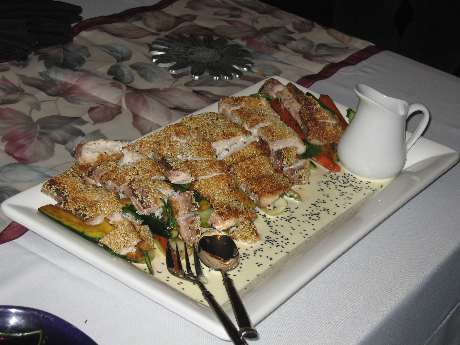 The pork simply had the top layer of fat scored, coated with salt and pepper, and once again seared on all sides. You can either leave the large pieces of meat intact, or cut them into smaller pieces. 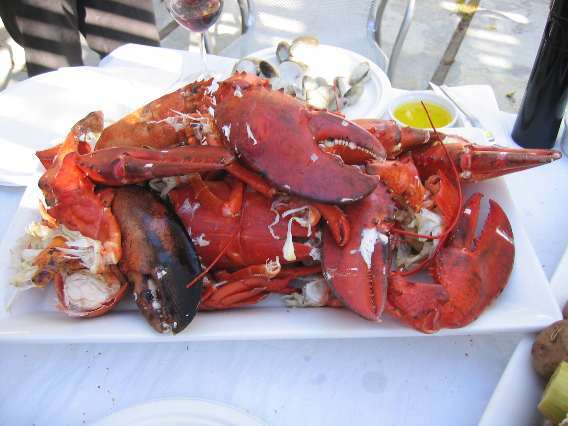 The large pieces allow you to (in theory) fish the meat out of the final dish and portion it as needed. 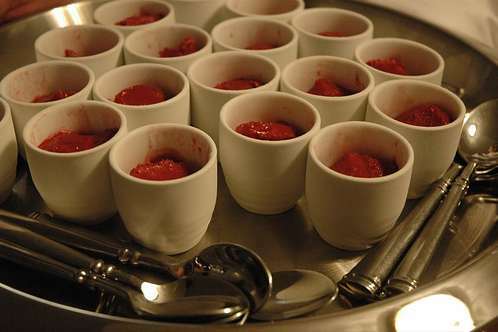 Going with smaller pieces would allow guests to just scoop out a spoonful and be surprised with what meat they got. Both methods work fine, but if the final beans end up very thick it can be difficult to fish out the very tender meat without it falling apart. I chose to keep the meats in large pieces this time. 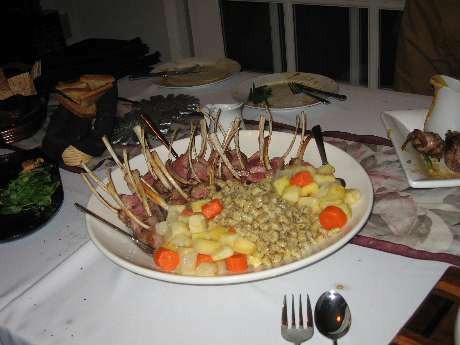 After the meats were ready, the mirpoix was sauteed in duck fat, and then mixed with the roasted garlic. The beans (small white beans, 4 cups dry, soaked overnight) were drained and cooked in simmering water until just slightly tender (about an hour). The beans were then drained (with the cooking liquid reserved). Finally! Time to assemble and really begin to cook this thing! 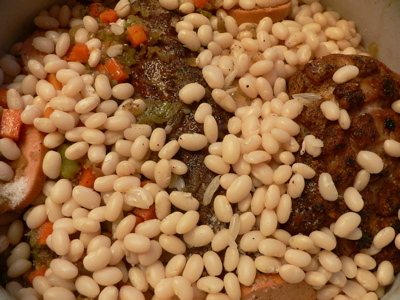 Layers of beans, cooked mirpoix, salt, pepper, and the meats were placed into a large round dish. The demi and a bit of the reserved bean cooking liquid were poured over the top until the beans were almost covered. With that, the cassoulet is ready for a 350 oven. You want to cook the cassoulet until it is bubbly and hot throughout, and the stock has started to thicken. This will take probably two hours, maybe more depending upon the temperature of all of the ingredients when they go in. If you think that the cassoulet is drying out rather than just thickening, you can add additional demi, reserved bean liquid, both, or just plain water. 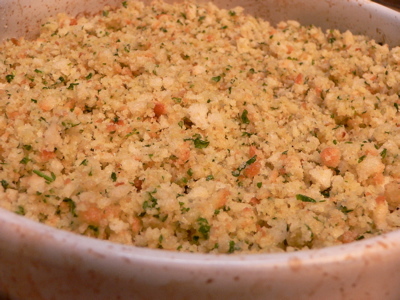 Once the stock has thickened a bit, a layer of bread crumbs mixed with melted duck fat is spread over the top. Cooking continues, and the stock is allowed to bubble up, thickend, over the top of the crumbs. 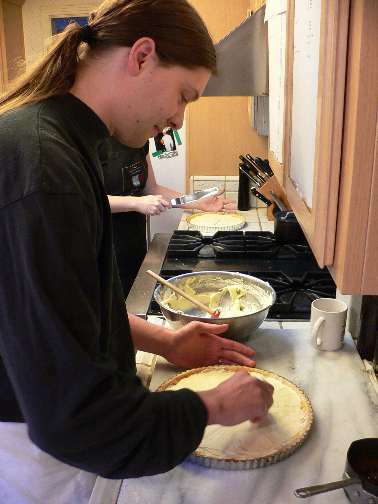 Traditionally, the crust is from time to time pushed down to break it and repeatedly allowed to form. This is probably another hour. You can quicken it a bit by raising the heat of the oven to 375 or 400. 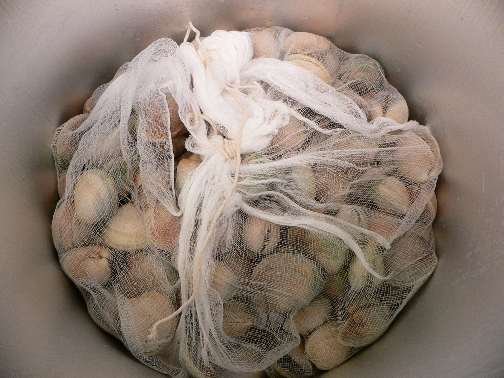 This also assists in browning of the crust, but don't get too carried away -- if you see the cassoulet boiling furiously, you should drop the heat. You can let the cassoulet go for much longer total cooking time than three hours. 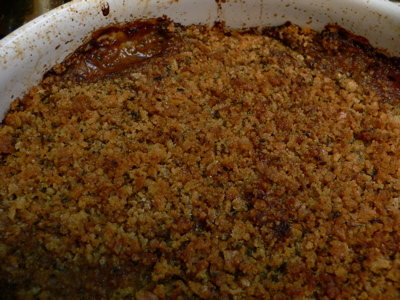 Personally, I love the crumb part of the cassoulet -- so I use a pretty thick layer of crumbs. But you can experiment with what you feel is appropriate. If you have extra crumbs, save them for re-heating the next day. Ditto with any stock or bean liquid you didn't use. - return ribs to pan. Zinfandel wine (2 bottles) + stock (I used oxtail, but chicken also works) + some large carrot pieces. Liquid about 1/2-3/4 up the ribs. Heat pans until liquid is to a boil. - cover pans (we used foil because the pans were huge, and we were actually using two pans) return to oven at 325-350. - remove ribs into a small pan and cover well with foil (at this point it was 4 o'clock or so, so we just left this covered pan out). They will most likely fall off the bone and this point, and that's fine. - toss ribs in sauce, or spoon over, or what have you. - we made a basic saffron risotto with chicken stock and cheese, which I think is an excellent foil for the sauce. Turns out during development of this dish, I wrote up how I make risotto. Hotel Butter (and compound butters in general) are a favorite of mine, but lots of people don't cook when them often (myself included). 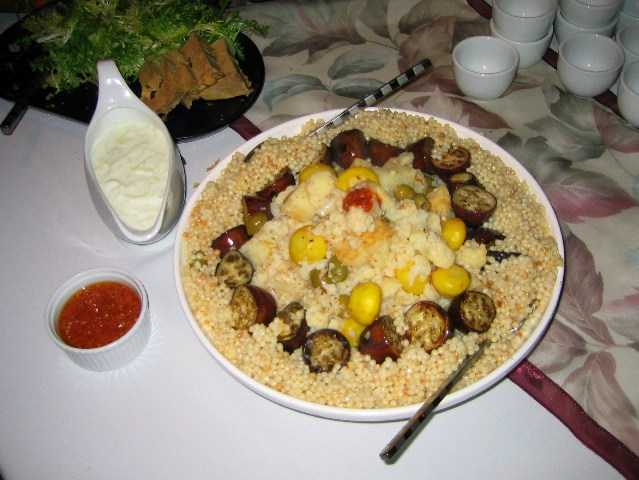 While traditional over meats, I think they also work nicely with this vegetarian dish. We use this with turned carrots, parsnips, and rutabegas. The kitchen staff all got a "lesson" in turning vegetables. It starts out very interesting and fun to be learning, and quickly turns into a dull grind. This is why I have help for these things. I've done turned vegetables for a crowd all by myself once, and it is not a fun time. As I usually do with vegetables, we par-cooked them (in order of white, yellow, and orange to avoid the colors bleeding into one another) and shocked them in ice water. For service, it was just a basic re-heat with the butter. The beans in this are just some basic french beans (blanched and shocked as above and re-heated in (what else?) 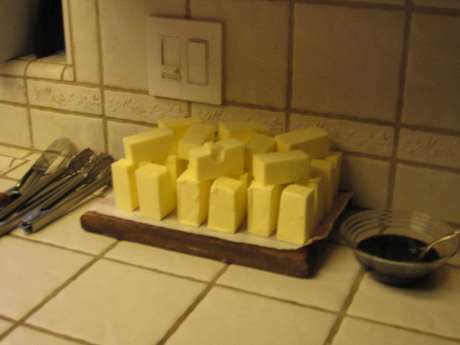 butter for service). The fun thing with this recipe is the "garnish" of shallots. These are whole peeled shallots (another fun chore for the staff) that are slow-cooked in a pot with port wine until the wine as reduced to a syrup. This also makes a nice reduced sauce for anyone who wouldn't be eating the ribs listed above. I haven't made one of these in some time. Last night I decided to see if I could make a smaller than normal batch (because who really needs to eat 8 deserts on ones own?). Oven to 400 degrees. Butter and flour (or, in my case, I use cocoa powder) two small ramikins (6 oz? something like that). Melt butter and chocolate in double boiler. Once melted, remove from heat and allow to cool slightly. 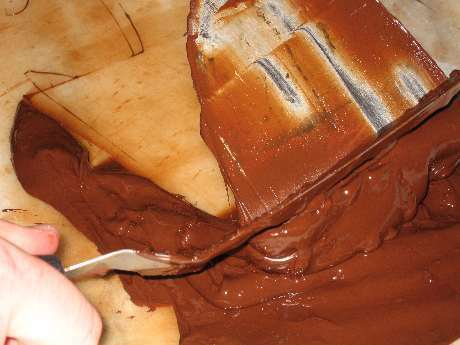 When oven is to temp and chocolate has melted, whip eggs and sugar together until the ribbon forms. Pour in chocolate mixture and whip just to combine, then add flour and do likewise. Pour in prepared ramikins (about 1/2 to 3/4 of the way up the sides). Bake 12 minutes leaving the centers very wet. 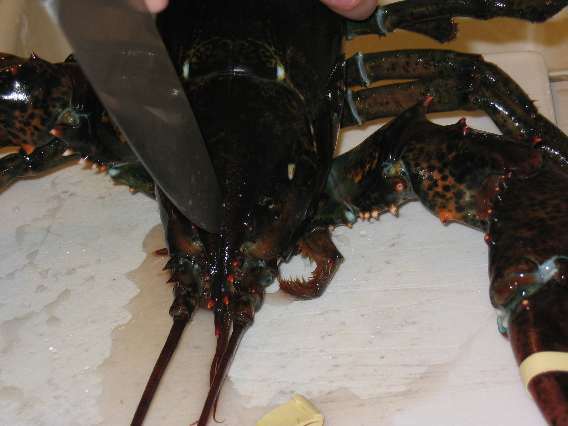 Remove from oven, run a knife around the edges and upend onto plates to serve. 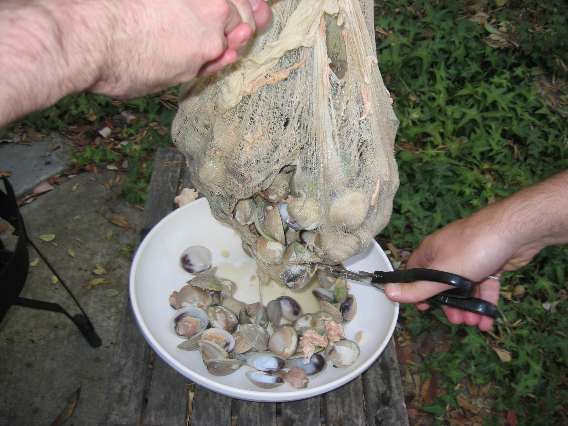 Makes 2-4 depending upon the size of your ramikins and how full you fill them. If done correctly, you get a nice looking little chocolate cake, that when cut into oozes a dark chocolate sauce. Much more impressive than the work involved. You can do these ahead of time and fridge them for up to 8 hours. I haven't ever done this, but friends who have say it works well as long as you pull them out of the fridge at least 30 minutes before baking. Last night I used Trader Joe's dark chocolate which has a 70 percent cocoa mass. This is pretty high quality, but they obviously don't conche the chocolate as long as some of the higher-end brands. The cakes had a slightly detectable grit to them as a result. I also have normally done a separate yolk and egg white whip (pushing the yolks to ribbon with 3/4 of the sugar and whipping to peaks the whites with the remaining). 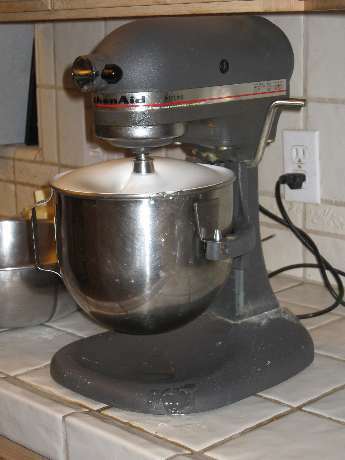 This is how I was taught to do this, but is a pain if you don't have two stand mixing bowls (and I do not, although for the life of me I don't know why) because you have to either a) wash the bowl between the whippings or b) whip the whites by hand. Also, this approach means that you have to do folding of the whites, which is more time spent. I think the separate approach gives a slightly higher rise, and the outside of the cakes is maybe a bit "crisper" due to the sugar/white combination. But the differences are very subtle, and the above outlined approach is probably 30 minutes total from start to the eating. Winter cranks down here in California, and I'll admit that my last month and a half of cooking has been fairly uninspired overall (lame excuse for no writing, but hey). Lots of baked chickens and the sort. However, the past two weeks or so of unseasonably warm and fully blue-sky weather have jolted me out of these cooking ruts -- sort of. I'm working on a braised short-rib recipe, which doesn't sound very warm weather at all! But today was 50ish when we woke up, so I made another run at it. It's a basic braise of boneless beef short ribs (which for some reason are always available at Costco). I've settled on robust wine for 50% of the liquid (today was a fairly inexpensive Zin that upon tasting showed major amounts of cigar notes) and 50% beef stock for the rest. I browned off some bacon first and used the fat that was rendered to brown the beef, which I had cut into 1-1.5 inch chunks. I then tossed out the fat, added in the stock and wine, covered, and braised for about two hours. I strained out the meat and put the liquid back on the fire to reduced to near syrup like stages -- and boy did it taste salty at this point! And for me to call something salty. Heck, ruined for sure. But, I went forward and made a mental note to not salt anything else. While the stock was reducing I made a basic risotto of shallots, chicken stock, and saffron, and at the last minute stirred in parmasagn cheese. When the risotto was done (twenty minutes, if you will recall) I tossed the beef chunks back in the stock to re-heat and also added the reserved bacon slices. Plated in huge bowels with just two or three beef chunks per plate on top of the risotto, and just a tiny smattering of the sauce around. Fresh thyme sprigs from the garden on top. No salt was tasted in the eating -- I guess that intense sauce thing works out in the end. This is the 2nd run at this, and I think this dish is going to appear at a popular winter dinner later this year as a result. Blarg! 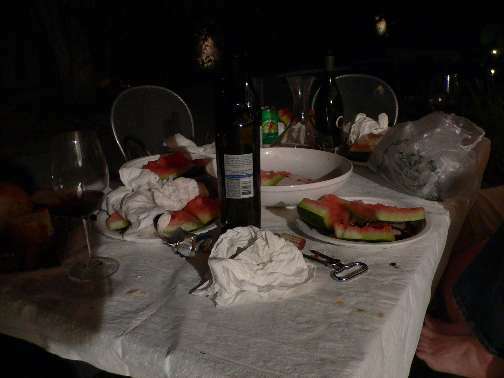 It was intensely yummy! "Blarg!" is my only word for this type of flavor. 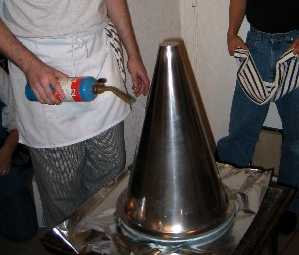 It is the intense, reduced, heavy, wined, meated, concentrated explosion that you get from this type of cooking. Putting the smallest amount of the sauce or meat in my mouth causes an actual physical reaction. I can feel the saliva drop from the back portion of my mouth. This, yes, this this this, yes, this! Why isn't this what I taste when I go out to eat most days? The reason this dish works so well is the very clean and classic flavors of the risotto (which is also quite pale in color), matched with the almost overwhelming intensity of the meat (which is contrawise almost black in color). And, of course, a little herb on top so that you figure the $25 per plate was an excellent value. You don't need much of this, but boy is it worth the effort. Well poop. I was going to have Carol and the kids over for a "fancy dinner", but the flu going around seems to have caught up with the clan. 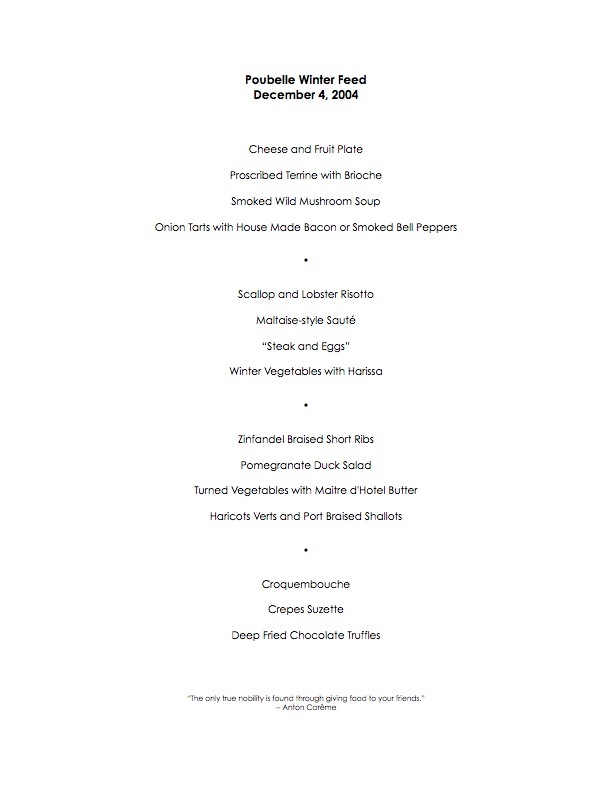 I had some of the ingredients already purchased, so I went ahead and made a shortened version of the dinner. For the meat course, I made a slow smoked prime rib. I crusted it in a combination of sea salt, oregano, black pepper, and onion. I ran the smoker at around 275-325 for just under two hours, which took the two-rib roast to 120. 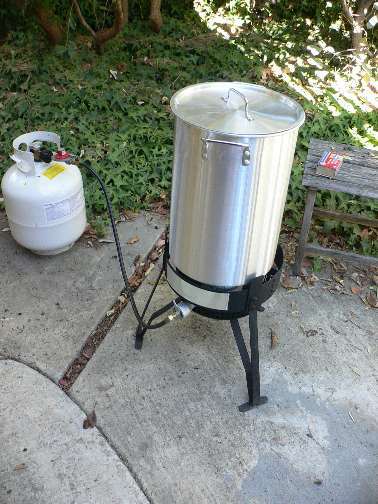 I let it rest for 15 minutes, at which point it had coasted up to 128. The result was a pretty darn uniform traditional rare. For the sauce, a Tom Common reduction of chicken, oxtail, red and white wines. I took it down close to a glaze, but left it a bit looser than I do for more formal dinners. I sort of wanted it to be like an "au jus." I had a baked potato. But, had the kids come over I was going to do mashed. I also would have added my traditional Green Beans Done Correctly (blanched, shocked, reheated at the last minute in clarified butter) -- a trick that Carol wonderfully trotted out for Christmas dinner much to the pleasure of the guests. 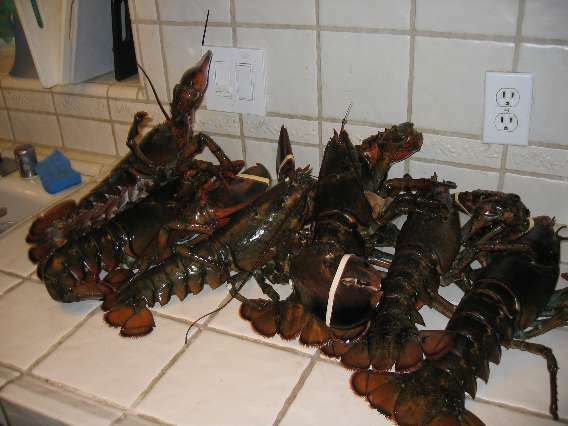 And, I was also going to do either a Hollandaise or Foyot sauce. Two sauces do mean love, after all. But, hard to make for one, and only for the most special of occations would I toss what would have been left over. Even in just "meat and potatoes" mode it turned out very nicely. And I can't recall the last time I had a roast, so it was a wonderful change of pace in that respect. But now I've got a whole bunch of leftovers that need use in sandwiches. 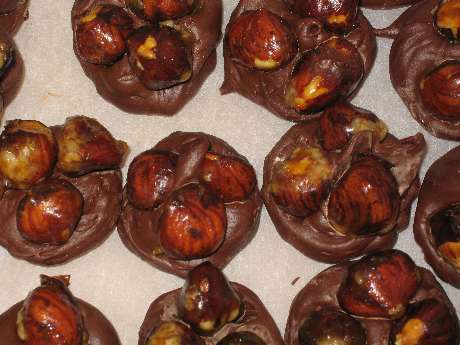 I made these two years ago and have been meaning to get the recipe posted here and off of my side cabinet where it is on a sticky note. 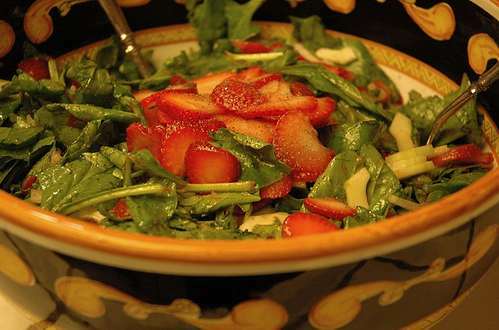 It is a very impressive way to end a meal, yet is quite easy to do and is mostly a make-ahead. Originally from Michel Richard. 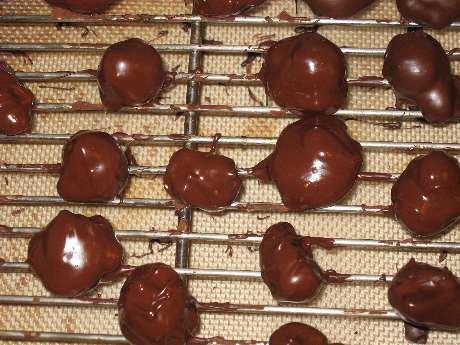 - make chocolate truffle centers (whatever recipe you normally use. I use a 2/1 chocolate/cream ganache that I then table until firm enough to make balls). At this point, you can leave them in the freezer in a zip top bag until you need them. I had some leftovers that I kept for a month and then re-used. 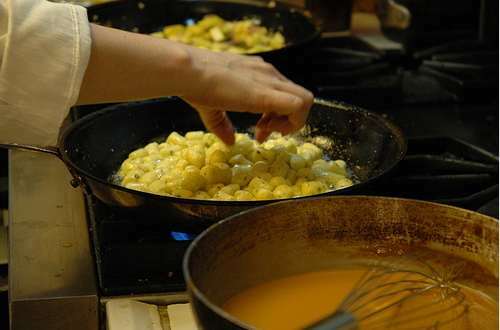 To cook, heat a light vegetable oil to 350. Deep fry just until the coating becomes brown (about 30 seconds). Serve/eat immediately. I usually do a test one to see how melted the center gets and then adjust the timing a bit. The ideal goal is to have a crisp fried outer coating, a liquid, and at the center just a tad of still solid truffle. 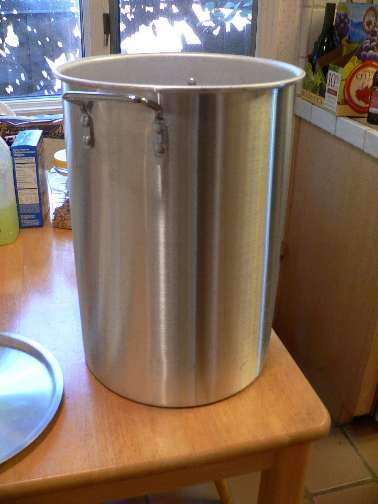 Several folks have sent in email asking how to make caramel sauce. It's easy, quick, and lots of people are impressed by it. It's also a great make-ahead part to a meal. 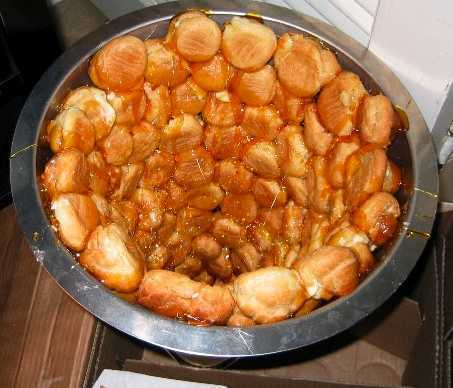 1) In a large (2.5-3 qt) heavy bottom sauce pan combine 1 C white sugar and enough water to moisten. You can use no water if you are used to this, or lots of water if you are new at it. More water will just take longer to cook out. 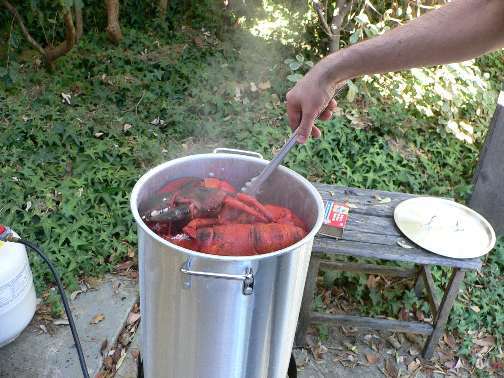 2) Place on medium heat until the sugar melts and begins to boil. Continue cooking until carmelization starts -- at this point, stir or swirl the pan to keep even browning happening. BE CAREFUL! Sugar is very hot and will stick to your skin, giving you a burn like no tomorrow. 3) When the amount of browning that you like has happened, turn off heat, add 1 C heavy cream with your hand WELL AWAY from the top of the pot. 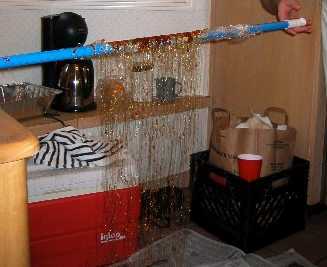 It will foam/boil/sputter like crazy. 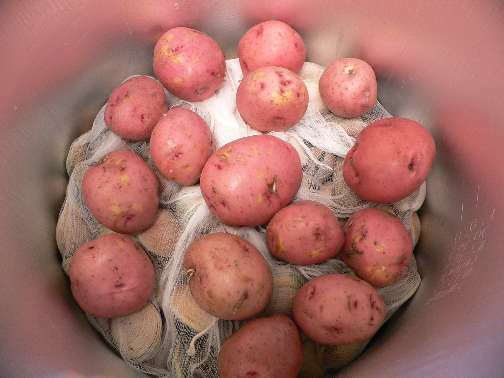 This is why you use a much larger pot than you think you will need. 4) When cooled down a bit, you can add a) flavorings b) more cream if you think it is too thick. When cool enough to not melt plastic, pour into a plastic squeeze bottle. Caramel sauce keeps very well, on the counter for at least a week. The amount of sugar is so high that nothing really can grow in it, and the opening to the squeeze bottle assists here as well. To re-heat, simply place the squeeze bottle in a container of hot water (I usually use one of those 32 oz plastic cups you often get for free with Large Drink Purchase). I usually take the sugar to a pretty dark brown, but you can adjust this to your liking. The sugar continues to cook a bit after adding the cream, so it will darken more, while the cream itself will lighten it. I find that the end color is about the same as when I added the cream, maybe just a tad darker. I haven't made a fancy dinner for Carol in a while, so Friday night I did so. 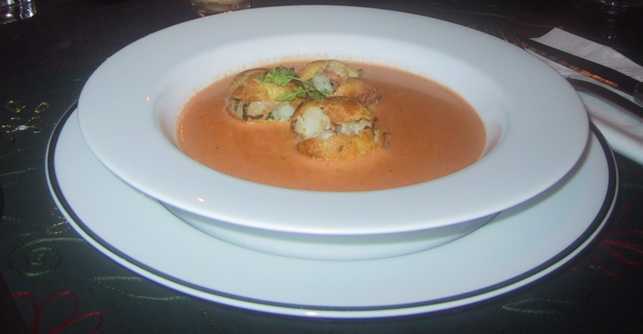 First course was a cajun inspired shrimp bisque. I had some leftover shrimp stock in the freezer, which I cooked with some bell peppers, onion, and celery. Tossed in some pre-cooked rice and let the whole thing cook down for a while. Then I blended it, strained it out, reduced it, adjusted the seasonings with cayenne pepper and salt. Then I added heavy cream and mounted the result with lobster butter (again, I had some in the freezer). 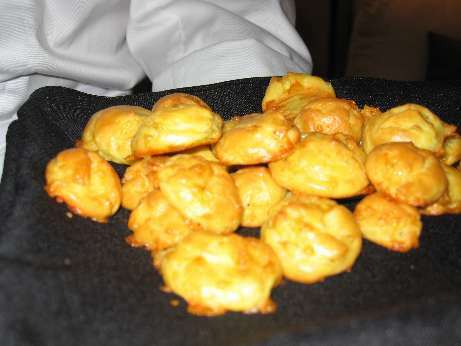 To serve this, I also made some very small savory cream puffs, which I filled with a garlic/shallot/tarragon sautee of shrimp. These went in the middle of the soup bowl. 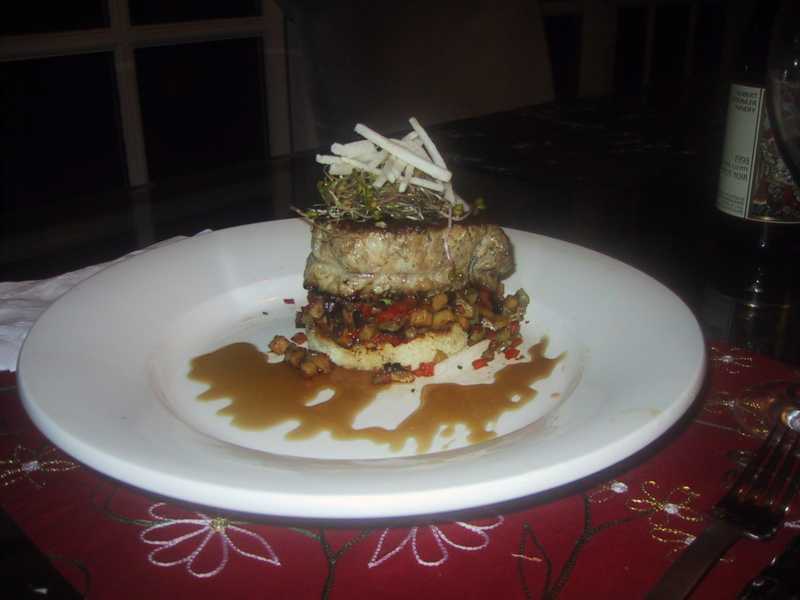 In keeping with the southern theme, the main course was maple glazed boneless pork chops atop rounds of garlic toast, mixed sauteed vegetables, a "weed salad" and thin strips of jicama. 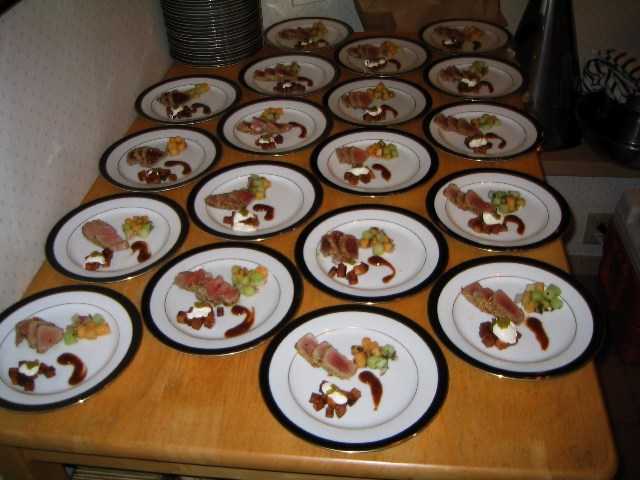 I plated these all towered together, in a sort-of homage to tornados Rossini. The pork ended up being overcooked, which was the only thing I was disappointed with. The contrast of the textures of the veg and salad turned out very well. With this dish, there was certainly the danger of heading into "confusion cuisine". I used the jicama and chayote squash as part of the veg in order to work with the sweetness from the sauce (both have an apple-ish potato-ish taste and texture), but maple, plus southwestern vegetables, plus southern sense was perhaps a bit too much. Flavor wise everything was fine, and the plating didn't turn out too badly. 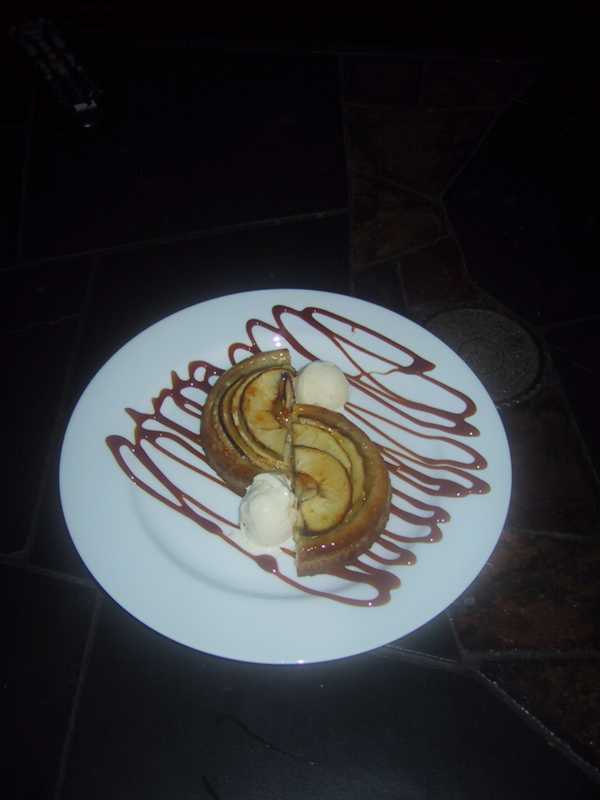 To finish off, some very simple apple tarts, with basic vanilla ice cream and a bourbon caramel sauce. These were also good, although I should have thinned out the sauce with a bit more cream. As it was, it was a bit too much like candy in terms of texture. 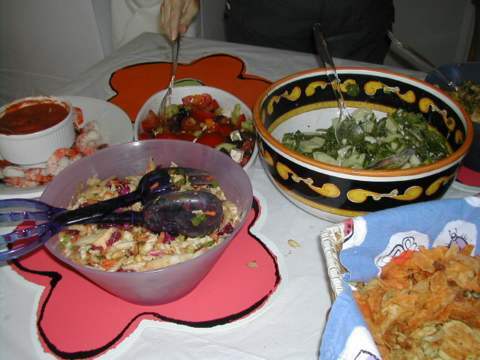 The extended entries now has pictures of each dish. Also, for some reason people keep asking how long these things take for me to do. Prep and non-during service cooking was about an hour and 15 minutes. The only thing that needed to be cooked "live" was a pork chops and veg that went with them. Yesterday morning I decided to drown out the sounds of CNN with that of a meat grinder. Bratwursts, to be specific. Used about 3 pounds of pork belly, and another 2.5 pounds of beef chunk rib meat. You need sausages to be around 30% fat. Chuck is fairly fatty (around 20%) and pork belly is uncured bacon, so it's probably closer to 50% fat, sometimes more. It's an easy way to obtain fat content in sausage. Most commercial recipes call for "pork jowl fat" which if you ask for it will get you nothing but strange looks from most butchers. Pork belly is cheap and widely available at Asian meat counters. Plus, I love saying "pork belly" especially if I can say "pork bellies are up in active trading." I ground the meat once through the coarse plate, sprinkled with salt, a pre-mixed seasoning, and a cup and a half of water. Then ground again through the fine plate, mixed the whole thing up with my hands, and prepared to stuff. You mix the seasonings in after the first grinding because this gives you some free blending as you do the second grind. 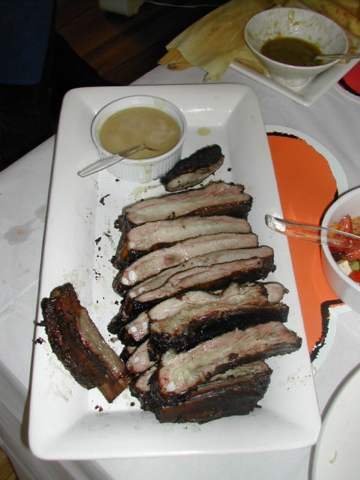 I used medium pork casings -- boy were these long! I figured I'd need two, so I cleaned them out. I couldn't even fit all of one of them on the stuffing tube. But, I need not have worried -- what I could fit managed to hold all six and a half pounds of the sausage -- wow. This was around 2 dozen links or so. I froze 3/4 of the batch and cooked up the rest by simmering them long and slow in a mixture of chicken broth, onions, butter, and hot sauce. 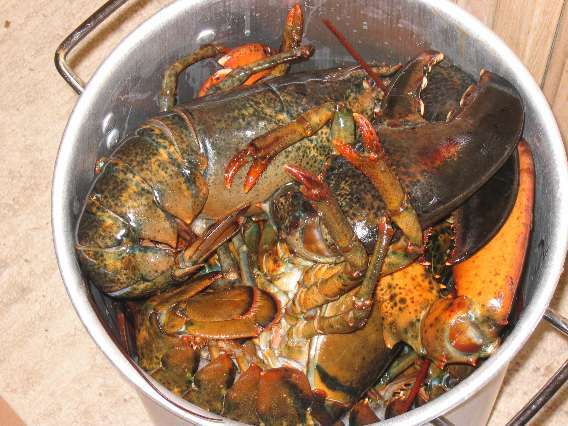 I then quickly grilled them to color the outside and then returned them to the broth. This is a fairly traditional way to cook brats. Ate on buns with homemade potato salad that was heavy on the mustard. Why special? You try stuffing 6 pounds of sausage yourself via a KitchenAid. One hand on the sausage to keep it from falling off, and the other feeding sticky meat mixture into the too-small opening. Today, I got on line and purchased a push stuffer -- which holds 3 pounds of meat at a time, meaning that basically two pushes would have gotten all of the meat stuffed. I've decided to add homemade sausage to my standard set of BBQ batches, and if I'm going to do this, the stuffer is an absolute requirement. I honestly think I'll make sausage much more often this way.